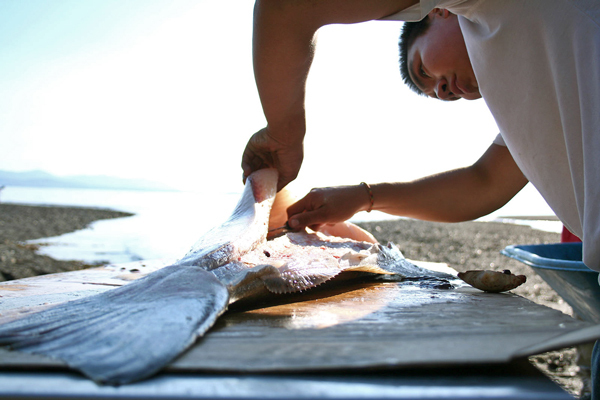 Shawaan Jackson-Gamble cleans a halibut for the Kake culture camp. Photo by Erik Neumann, KCAW – Sitka. 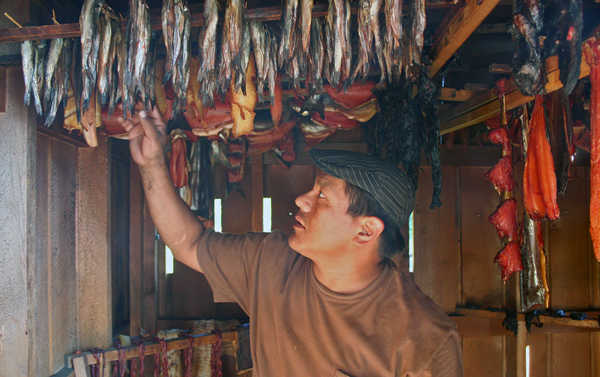 The Organized Village of Kake is a small tribal community on the northwest side of Kupreanof Island. Like many villages this time of year, they just hosted a culture camp, a week of teaching Native youth about traditional food gathering and processing. But during this week of hunting, smoking, and canning, there are a few bigger health issues being addressed too. 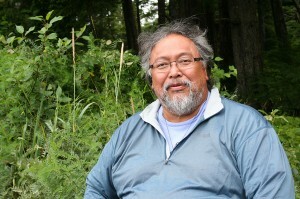 Mike Jackson, one of the founders of the culture camp and magistrate in Kake. Photo by Erik Neumann, KCAW – Sitka. Mike Jackson is an imposing man who speaks slowly and thoughtfully. He doesn’t show much body language, so that you can’t really tell what he’s thinking sometimes. Jackson was born in Kake and lived here for most of his life. In town, he’s the magistrate judge. But on this day, he’s at a beach, helping supervise two-dozen middle and high school kids at the Kake culture camp. Jackson helped found the camp 25 years ago. During their week-long stay, kids learn how to make devil’s club tea and to dress seal and bear. During the time I was there I ate dog salmon eggs and seaweed and smoked hooligan – little fish where you eat everything, from head to tail. Kake’s camp centers around food, but there’s also a larger issue. Jason Aceveda shows off hooligan, salmon and seal in the smokehouse at the Kake culture camp. Photo by Erik Neumann, KCAW – Sitka. In the 1980s, Kake had the most suicides in America, and especially with youth. That’s when Jackson and others decided to start the culture camp. Since then, many kids have gone through camp. Friday is 17. He looks like a typical high schooler who’s into the arts: he has bleached hair and he likes theater and music. He wants to become an actor. He’s one of two-dozen campers here. I asked Friday what his favorite thing is so far. Food prices are high here and there’s significant unemployment making life difficult for many in Kake. But the real reason for the camp is to rebuild the Native culture and traditions of residents here. 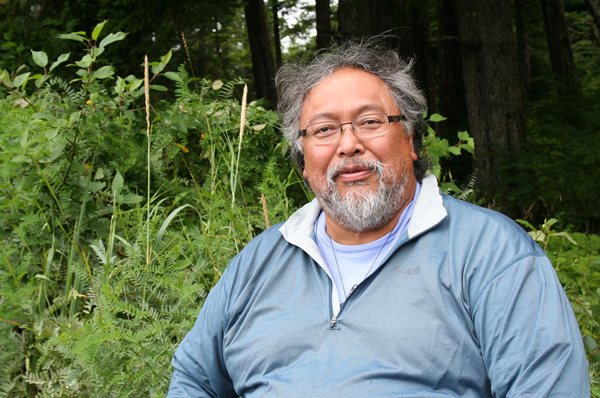 “The culture camp does operate on one level, which is just, ‘Hey here’s how we smoke salmon, here’s how we gather berries and we’re going to eat these great foods for this whole week and that’s gonna be healthy,’” Martha Pearson, a health program manager with the Southeast Alaska Regional Health Consortium, SEARHC, said. “I think the deeper and more sustainable level is: by giving the participants a sense of pride and I keep coming back to the word resiliency. Youth from kindergarten age through high school, camped out and learned traditional food practices at Kake’s 25th annual culture camp, July 14th-20th. Photo by Erik Neumann, KCAW – Sitka. I double checked with Mike Jackson and it was 22 years since the last suicide. Within a few years, Kake went from the most suicides in the country, to none. Jackson stresses that this is the main benefit, among many. “I am going to go to college in New York,” he said. Friday says he’s not totally sure what how the lessons from culture camp will translate to life in the city, but making that transition might just be enough.